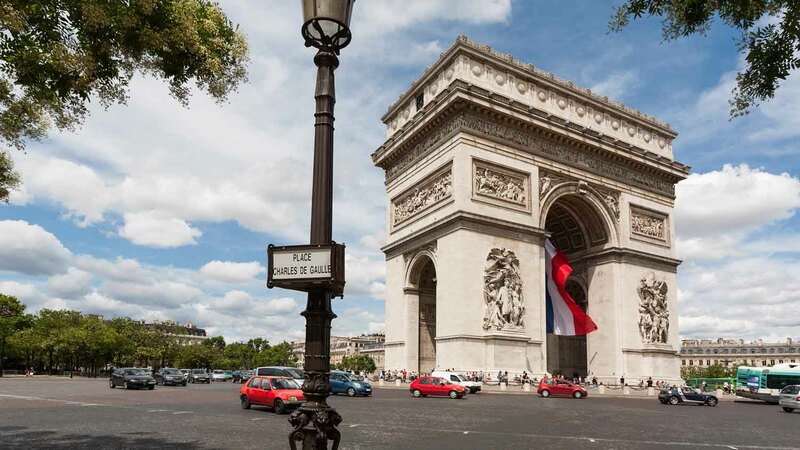 This magnificent triumphal arch commemorating the French Revolutionary and Napoleonic Wars is a bonafide icon of the nation's turbulent political history. Here are five things to know about it before booking your tour! 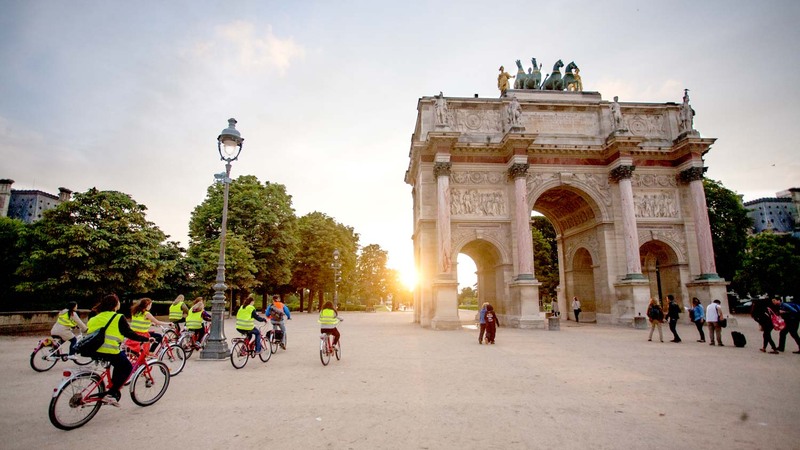 Originally known as the Arc de Triomphe de l'Etoile, it was built in 1836 – 28 years after the much smaller Arc de Triomphe du Carrousel was completed closer to the Louvre. Jean Chalgrin, who also did work on the Palais du Luxembourg and Versailles, unfortunately died in 1811 – five years after designing the arch, and 25 prior to its completion! 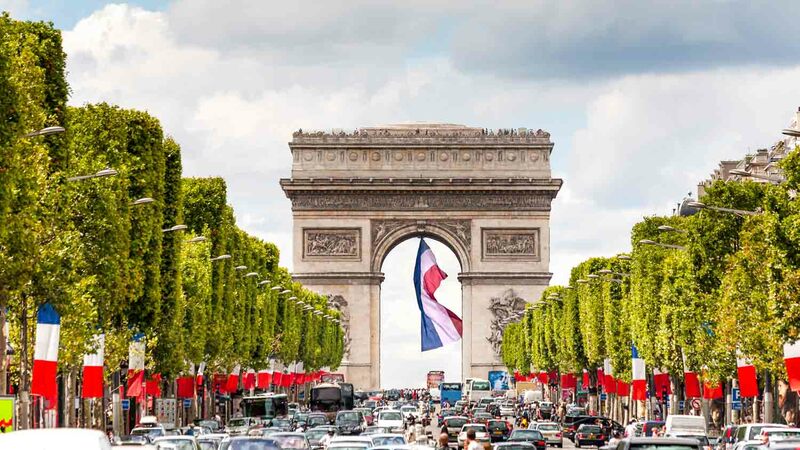 Every year on July 14th, the begining of the French Revolution is marked by a military parade from the Arc de Triomphe, down the Champs-Elysées, to the Place de la Concorde. A plane was flown through it in 1919! 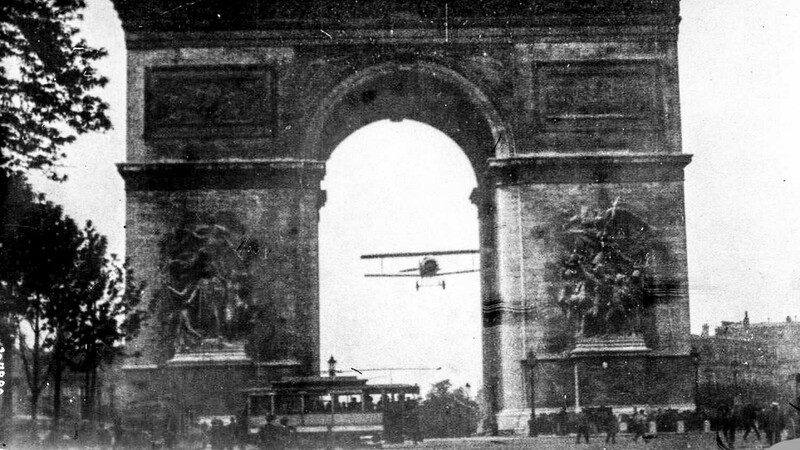 French airmen, like the infantry, were ordered to march on foot to commemorate the end of World War I. Charles Godefroy protested by flying a biplane through it 3 weeks later! After the Arc's vault became the Tomb of the Unknown Soldier, military parades have avoided marching through the arch out of respect. Even Hitler observed the custom in 1940! The Arc de Triomphe looks most spectacular at night, and the eternal flame that marks the Tomb of the Unknown Soldier is most visible then. At a height of 50 meters, visitors can climb to the top from 10:00AM to 11:00PM (10:30PM off-season), and gaze down the surrounding illuminated boulevards. Tickets can be purchased at ground level. 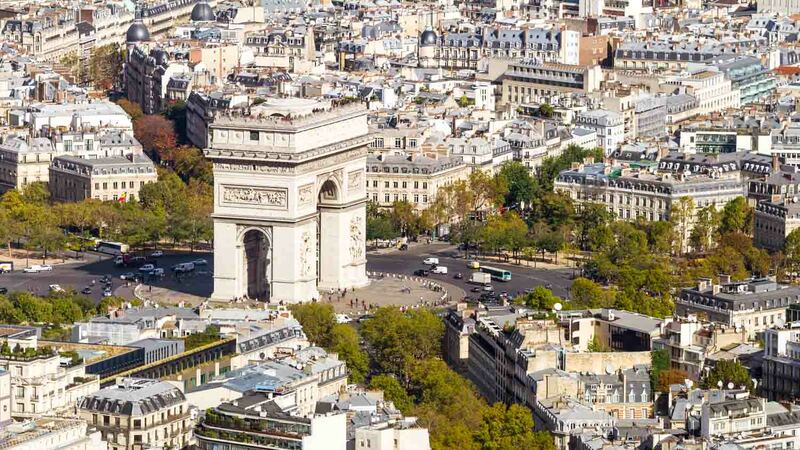 The Arc de Triomphe can be easily seen at the end of each of the 12 avenues radiating from it, including the Champs-Elysées. The nearest Metro stations are Argentine and George V (both line 1), Ternes (line 2), and Kléber (line 6). Take the underpass to the arch itself, avoiding the dangerously busy roundabout that encircles it. 10:00AM to 11:00PM peak season, 10:00AM to 10:30PM off-season. Free to look at from the outside. Tickets to climb the arch are 9,50 € for adults. You won't need a guide for the arch, but might want to check out our best-selling tours in the area. The the Metro line 1 to Argentine and George V, line 2 to Ternes, or line 6 to Kléber. Hristo - The walking history book! Brilliant! Hristo - He was on time and a truly wonderful person to be with in Paris! The showed all the sites on the programme and explained history and culture of the places! He was patient and friendly with us all the way. We will be keen to book another appointment with him! We were so tired after the Lourve and then walking to The Arc de Triomphe was not as appealing. If you have to do it in the same day because we are excercise nuts. Take a taxi! Stopped at a quaint Italian pizzeria - Rodrigo was amazing. Have us sustenance to make the rest of the journey! Around 8pm first evening in Paris, went to the arc around 9pm, without waiting on the long queues we quickly got in and could enjoy a beautiful day and night view over Paris and Eiffel Tower. It was a perfect idea because almost nothing else we could do with so little time and effort. best and easy way to get your tickets even if you have reached paris. we booked our tickets on this site on day of visit to arc de triomphe. this was very quick and easy. booking tickets in advance would really help as ticketing lines are very long and time consuming and you need to save energy to climb up around 350 steps and then down as well. so paris planners do use this option to book your tickets. Got in and skipped the long queue which would have made me miss sunset at the Arc!